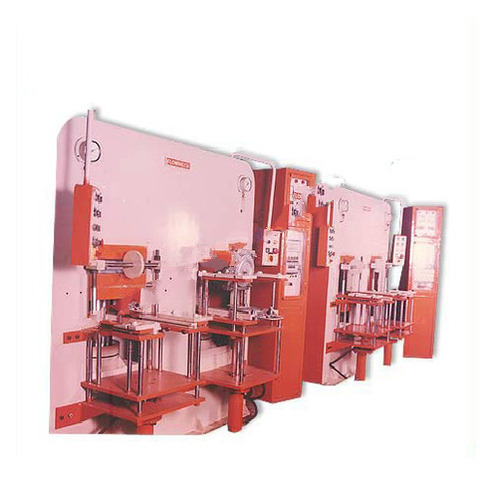 We are manufacturing fully automatic two tation PLC control rubber molding presses and three station PLC control rubber molding presses with common power pack having advance technique of auto degassing or air breathing. Rubber molding presses are used to increase the production, improves the quality and save manpower, electric power, rejection time and space. Four pillar type rubber molding press is helpful to increase the production, improve the quality and save manpower, electric power, rejection, time and space. 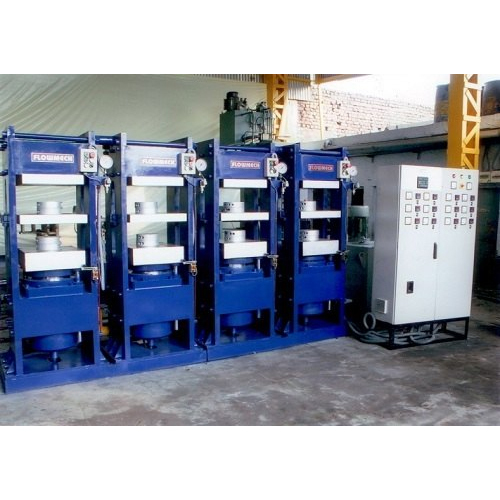 We are manufacturing fully automatic two station PLC control rubber molding presses and three station and four station PLC control rubber molding presses with common power pack having the advanced technique of auto degassing or air breathing. Rubber molding presses are used to increase the production, improves the quality and save manpower, electric power, rejection time and space. Four pillar type rubber molding press is helpful to increase the production, improve the quality and save manpower, electric power, rejection, time and space.